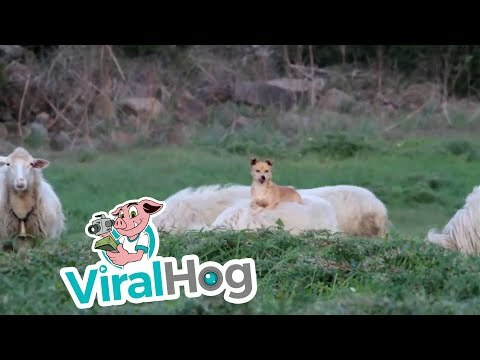 This has to be the cutest little sheepherding dog, he was caught being lazy and sleeping on the job. The owners could not stop laughing when they saw this dog’s method, so they grabbed their cameras and started recording. The sheepherding dog jumped on top of a sheep back and began giving his commands from above. What amazed the owners the most, is the dog managed to maintain his balance on top of the sheep’s back the whole time. This unusual method has received various comments from other sheepherders across the country and they too could not stop laughing.